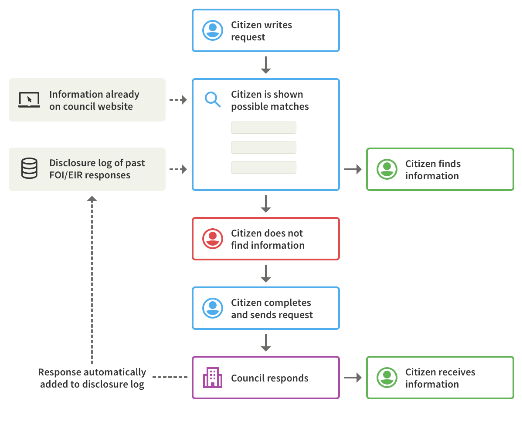 An open-source FOI service for councils that provides a user-centred FOI request process while intelligently leveraging already published information to reduce request volume. 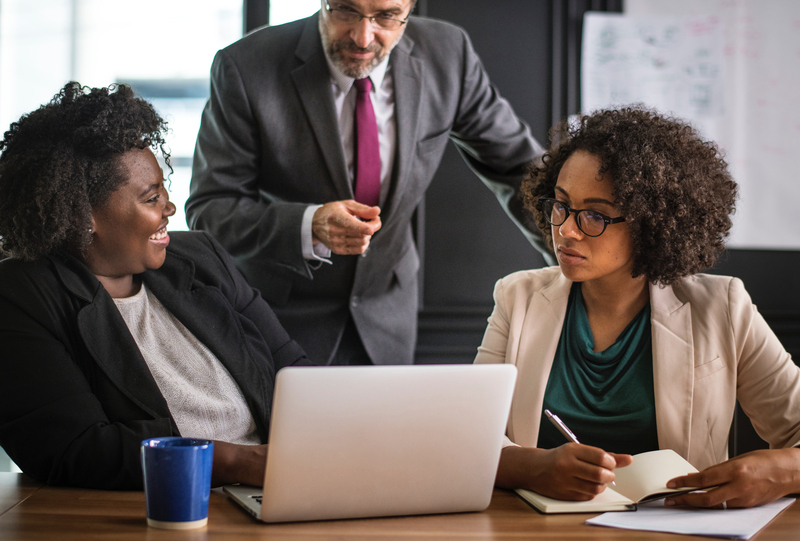 Developed in collaboration with Hackney Council, FOI for Councils is a user-needs focused solution to streamlining authorities’ FOI workflows, and reducing request volumes. It currently integrates with the Infreemation FOI case management system, but could be extended to work with another similar system – contact us for more information. A simple interface for customers, building trust and reducing customer support time. Intelligent suggestions from the disclosure log and custom links help reduce time wasted on Section 21 “information already available” responses. Disclosure Log integration resurfaces past responses, helping you to get more value out of your officers’ past work. Integration with your case management system allows the customer to receive a reference number immediately. The system becomes more effective as more responses are added to the disclosure log. Built-in analytics provide feedback on which curated links are most effective at reducing duplication. Proudly Open Source software, following the Government Digital Service Standard. FOI for Councils is built on over a decade of mySociety’s experience in making simple, easy to use websites that empower citizens. We’ve combined that with a deep understanding of how authorities handle FOI requests most efficiently and effectively. Once the request has been submitted, the user receives a reference number and confirmation email from the integrated case management system. Whether their question is answered automatically through the suggestion engine or not, customers have a good experience, increasing trust that the authority has nothing to hide. We worked closely with Hackney Council to understand the challenges faced by Information Officers, and the untapped value in channel-shifting more FOI requests into a fully integrated, automated solution. Suggestion system helps redirect citizens to existing material before making a request. Links to existing information (such as pages on the council website) can also be curated by Information Officers to feed suggestions. FOI for Councils was built from the ground up to meet the Government Digital Service Standard, including WCAG AA accessibility. Drop us a line to ask any questions, or explore how your organisation could deploy this software.